Was Steve Watson in the UAAP or NCAA? If you meant general collegiate teams, I would say the La Salle-NCC NCAA program of the 80s that included Ricardo Brown, Dignadice, Yturri, Valenciano, Almario, Uichico and Elmer Reyes. Ron Jacobs was the de facto coach. Now that was some kind of program La Salle had back then. They never intersected with Ateneo though, because the Eagles had already migrated to the UAAP by then. 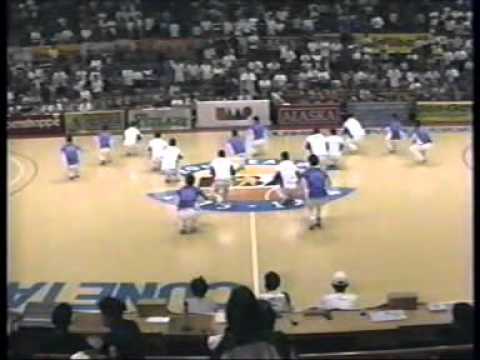 The '90s Blue Eagles was like a donut, they had a big hole in the middle. They had to compete with Power Forwards forced to play as undersized Centers. Suffice to say, the 90s UST squads was stacked to the roof. I even had to leave out guys like Bethune 'Siot' Tanquincen, Gilbert Lao, Aris Dimaunahan, Mel Latoreno, Emerson Oreta and Derrick Hubalde, though these players had stellar college careers. My all time favorite is the 2010 three-peat Ateneo Blue Eagles. Nothing beats the feeling to winning a crown by way of upset. - the 2017 blue eagles since I've always considered La Salle as the favorite this year. - the 2002 blue eagles which floundered midway through the season and La Salle favored to 5-peat. FYI, Watson was in the NCAA. And if you're counting all time bests, then Watson plus Francis Arnaiz are a must for the 1970s. Sa past 4 champion teams sa past seasons, sino sa tingin nyo ang Top 2? Parang for me, FEU and ADMU since balance ang offense nila and a great defensive team nung season nila. Hah! I just rewatched that recently. I was at that game and we were expecting the usual loss to La Salle even prior to the game even starting. That's how big the disparity between the two teams were. Nandun na lang kami para mang-asar. Lol! But it rained threes that day and there was no let up until the last buzzer! I also was in the same Psych 101 class as Bam Aquino back in college! Ang bata pa ni Coach Sandy , with full mane of hair hahahaha! Ben Mbala - this needs no explanation and should be in any DLSU list that starts with "all-time..."
Mac Cardona - for me, it was actually a toss up between him and Jerong Teng. I chose him not only because he was a terrific two-way player (with the most awful looking go-to move) but choosing him was also paying tribute to the handful of DLSU players in history who were tough as nails and always played like it was the last minutes of a championship game - "yung kayang makipag palitan ng mukha para manalo". Here's looking at you: Cali Orfrecio, Mon Jose, Cholo Villanueva, Willie Wilson and Kib Montalbo. Ren-ren Ritualo - many remember him as DLSU's sweet shooting 2-guard for all the 4-peat championships but i remember him best as an unstoppable slasher during his Red Cub days up until his UAAP rookie year. The reason he came to be the shooter that he is, was because defenders wanted to take out the driving lane away first. This made him a nightmare on the pnr and ran double screen plays for him a la Reggie Miller for the corner 3. The slashing prowess distinguishes him from UP's Mike Bravo who was also a terrific spot-up shooter but offered nothing else. Mike Cortez - i am aware of the infamy that surrounded Mike Cortez back in 2002 where he allegedly threw a championship game for 2M. Whether it was true or not, his talent remains undeniable. He was a dominant scoring PG who languished his peak PBA years under a system that wasn't a fit for his style of play. The triangle under Cone required a true PG (i.e. Abarrientos, Tenorio). While in college, he already had a pro-ready body and PBA-ready range from the perimeter, not to mention incredible upper body strength to finish in the lane. Coach: Juno Sauler - it's him or Pumaren...Derrick Pumaren. I know it was Franz who led DLSU to a 4-peat but he has this nasty habit of losing to Ateneo in a Finals series lol :( . I am forever indebted to Franz for the glorious 4-peat but Franz Pumaren basketball needs a revamp. A lot of his system leans heavily on PG play, as you'll notice DLSU went on a decade long spree of loading guards on the roster, easily forgetting that the 4-peat was anchored on big men too (Allado, Sta. Maria, Sharma). Especially now with basketball evolving to having stretch 3's and 4's, hybrid scoring PG's and making the 3-point shot a more frequent viable offensive option. I chose Sauler because I think he deployed a sustainable system of all of the coaches that I've seen for DLSU. Remember that in his rookie year, Sauler inherited a Pumaren roster that had 8 guards, count 'em: Kib Montalbo, Almond Vosotros, Rob Bolick, Luigi de la Paz, Oda Tampus, Gabby Reyes, LA Revilla and Thomas Torres. Yet still managed to go all the way with a tight 8-man rotation. If I can get a coach outside of the DLSU list, I'd go with Koy Banal, Altamirano and Nash Racela (in that order). PS: I've never seen Lim Eng Beng play so I can't say how I can put him on my list despite being a highly accomplished professional basketball player. The names above were cagers I've seen play live and on TV. Which means I only chose from the DLSU UAAP player roster as I never got to see the NCAA years. Honorable mentions: Ayan lalabas na ang edad...Johnedel Cardel, Rafa Dinglasan, Dindo Pumaren, Joey Sta. Maria, Lago brothers, Jason Webb, Mark Telan, Don Allado, Joseph Yeo, Ty Tang and Jerong Teng. Haha I was at that game too! That was one memorable game! 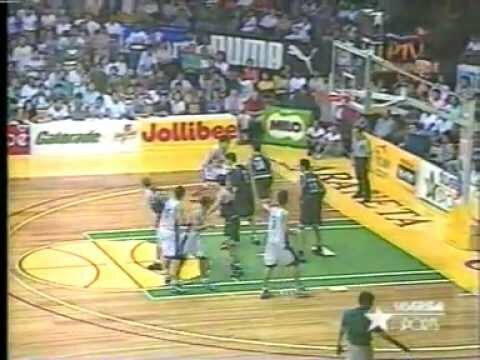 I almost always watched the Ateneo-La Salle games even during the dark ages of Ateneo in the 90's. Since laging talunan ang Ateneo nun, it was fairly easy to get tickets then. If I'm not mistaken, it was during these times that the "win or lose" in our alma mater song was emphasized because we were always losing hehe. It got to the point where we joking that the phrase should be changed to 'lose or lose' whenever we played against La Salle coz we always lost. Lol! Buti na lang nagbago ang ihip ng hangin, nag-improve ang recruiting ng Ateneo and the Blue Eagles are now perennial contenders. If I'm not mistaken, Perry Ronquillo coached for 1 year in the 90s. Sorry can't remember exact year.